Some insurance professionals and agencies have been known to fall behind on the paperwork required for licensing and, in some cases, not even know what licenses they have in effect at any given time. It’s understandable because keeping up with numerous state insurance licensing requirements, renewals, or changes can be difficult and time-consuming, according to Barb Donner, CEO and founder of Supportive Insurance Services in southern Indiana. Donner’s business is to help licensed professionals stay properly licensed and get new licenses when they need them. “What we do an insurance agency or adjuster can do themselves, but they often can’t do it as well or keep abreast of the requirements as well as we can,” she says. The company has helped insurance agents, surplus lines brokers, agencies, adjusting firms, adjusters, and insurance carriers across the U.S. manage their licensing for 12 years. 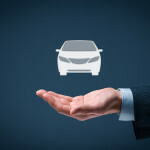 It helps its customers keep track of everything — including renewing licenses, updating information with state departments of insurance, and applying for new licenses in states. Donner says their service has become even more valuable as more and more in the industry are selling insurance in other states, too often without being properly licensed to do so. Now it is expanding its services with the launch of an audit and analysis system called “Insurance Licensing Check-Up.” The annual service evaluates if an agent’s licenses are correctly issued, up-to-date, and meeting state requirements; it also uncovers potential licensing gaps. Licensing Check-Up also assesses whether the proper state protocols were followed when non-resident licenses were filed, since each state has different requirements for agencies and corporations to obtain one. Clients of the audit service receive a report confirming the status of their licenses and any additional business licensing requirements they need to meet, as well as a list of licenses that may no longer be needed. Agents can then decide to work with Supportive Insurance to handle any licensing needs that came up as a result of the check-up. The cost of the service starts at $250, but the more people using the service the less expensive it becomes, so if an agency would like to have it performed for its employees the rate would be discounted, according to Donner. Clients pay per license and for ongoing licensing maintenance, which Donner says is another benefit of working with the company. Supportive Insurance keeps track of and manages all of the different license renewal dates for its clients and will automatically renew them, unless told differently. “We send an e-mail to the contact we have at the agency listing all the licenses that are going to renew in 90 days. Also, if [a client] knows they will be writing business in a new state, they can just send us an email asking us to get them licensed there,” she says. 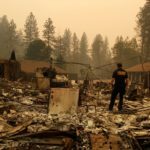 Licensing may be complicated and a nuisance, but Donner warns that agents or adjusters who don’t meet state requirements can face steep fines and penalties. “If you are writing business in a state and you aren’t licensed or your license has lapsed the state will take administrative action,” she says. According to Donner, if a state takes an administrative action against an agent or adjuster, they have to prove they are licensed, making the situation even more cumbersome, especially if it turns out they aren’t licensed. Also, once an agent is fined and penalized by a particular state, they are also required to notify all the states they do business in that they have been penalized. “If you don’t do that in 30 days, then other states can come back and fine you as well… the situation really snowballs,” she says. Supportive Insurance has an attorney who will work with agents to resolve these situations and handle legal problems or paperwork if needed.